Herb-infused drinks are on the list of top culinary trends for 2018, so I am well ahead of the game with this concoction brewed up on my stove-top for summer drinking. 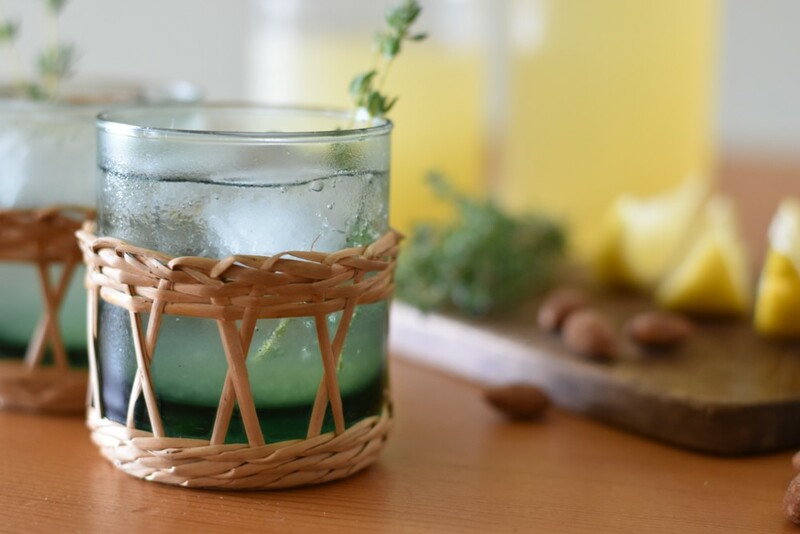 It's a herb-infused syrup to mix with fresh lemon juice and top up with a dash of your favourite tipple. This cordial was inspired by a drink I had at Lost Boys, in Fortitude Valley, Brisbane, more than a year ago. I squeezed the juice in winter from a basket of beautiful, juicy lemons gifted to me by a colleague and froze almost two litres in anticipation of this recipe. The cordial is sweet and fragrant, but not so sweet to lose the tart lemon, tangy lime or hint of thyme. Enjoy it as a mocktail or cocktail. Lemon juice from 6 to 8 lemons, more if you have them. Put the 3 limes, sprig of thyme and 3 cups of water in a saucepan and bring to a boil. Simmer gently until the limes start to soften. You don't want the limes to split. Set aside to cool. When cool remove the limes and thyme and set aside, you'll juice the limes when they have completely cooled. Add the sugar and return to the stove. Bring to a simmer and simmer until the sugar has dissolved. Cool until you can pour the cordial base into a sterilised bottle or jar. Squeeze your lemons and the cooled limes. I like to squeeze a lot of lemons in one go and keep the juice in a jar in the fridge, or freeze until you'll need it. The limes will be quite pulpy and gel-like. Add this to your lemon juice. To make up the cordial pour an equal mixture of cold cordial base and juices together. This is now your drink mixer. Store in the fridge to keep it icy cold and ready for summer guests. 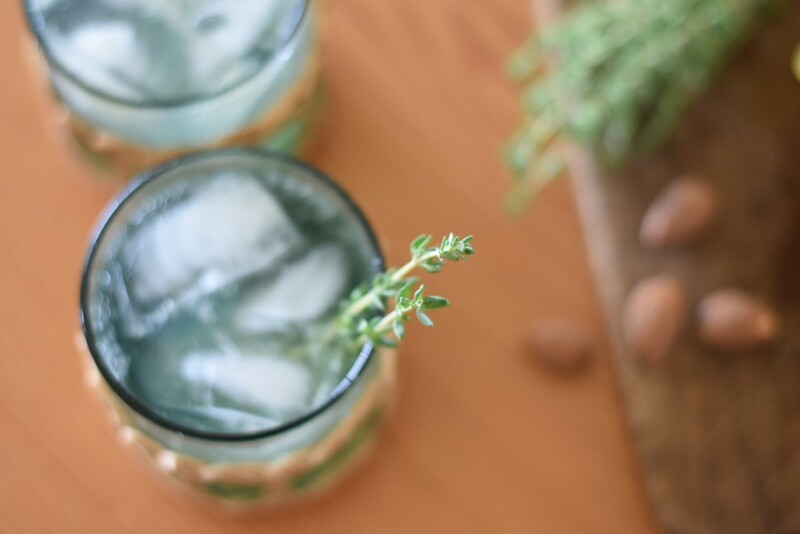 Add a slug to gin or vodka, over ice, lime and a sprig of thyme, for a refreshing taste on your favourite gin or vodka cocktail. This looks so refreshing Katie. Thyme is the best isn't it? I have recently been experimenting with apricot and thyme jam. Stay cool! Apricot and thyme jam sounds delicious, especially on just-baked sourdough.